Press Play is a book and music fair celebrating the merits of independent publishing and the dissemination of the arts through publication, recorded sound, and their expanded mediums. 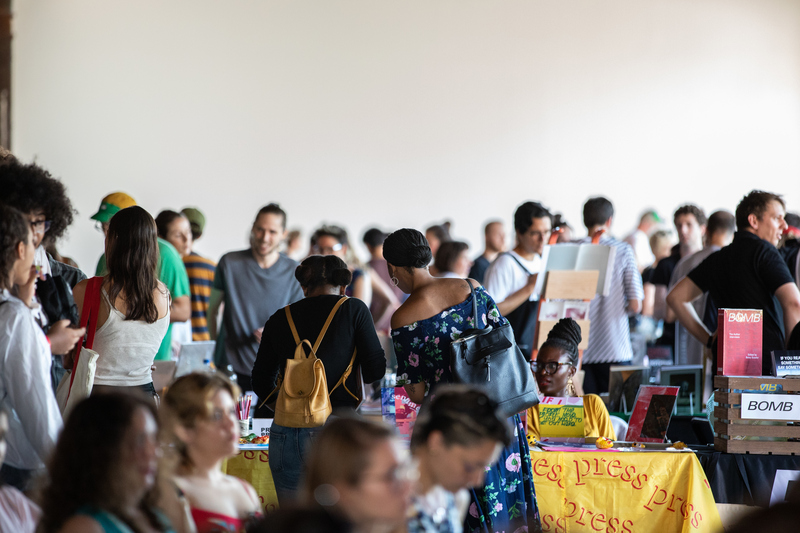 The fair invites print and digital publishers, recording artists and labels, and the communities that support them to participate in two days of live music, performances, panels, and other activities. Organized by Pioneer Works Press with the belief that publishing is essential to accessing the arts. Press Play is open to all members of the public. To exhibit at this year’s fair, please complete the exhibitor form.